St. Gerard’s Church is situated on Yatesbury Avenue next to St. Gerard’s Catholic Primary School. 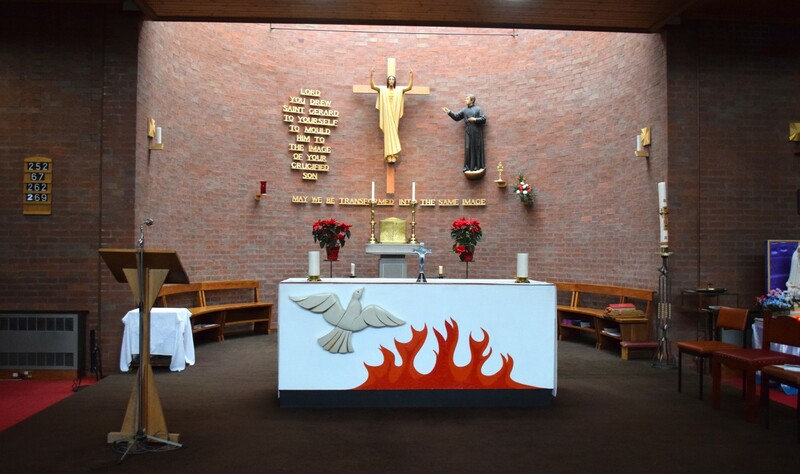 Before the church was built, during the 1970s, Mass was originally celebrated in the Parish centre. Even though it had encountered much financial debt, the church was granted permission from Archbishop Dwyer to proceed with the building in the spring of 1980. 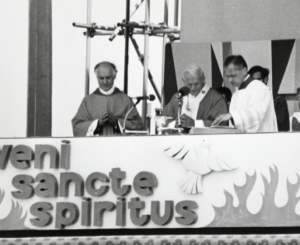 The Blessing and Opening of the Church was led by Bishop Leo McCartie, 22 December 1981. Fr Michael Knight became the second Parish Priest and remained in this position for over 35 years. Our green tower was a project that he was extremely proud of. He will always be remembered as someone who dedicated his life to serving others. All debts of the church were finally paid off during Fr Knights time as Parish Priest and on 21st June 2001, the church was consecrated by the Most Rev Archbishop Vincent Nicholls.